Disclosure: I was compensated for this post by PEZ. All opinions are my own. 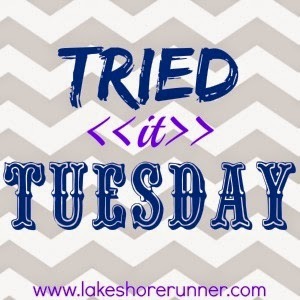 I am linking up with Sara at Lakeshore Runner for Tried it Tuesday! PEZ! You know PEZ! 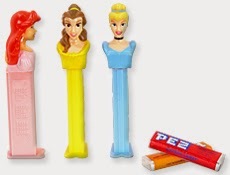 We have all eaten Pez at some time in our lives. You know, the different character containers with a pellet of colored sugar candy inside. You unwrap the paper and load them up inside the container. Well now, they have new PEZ Hedz! 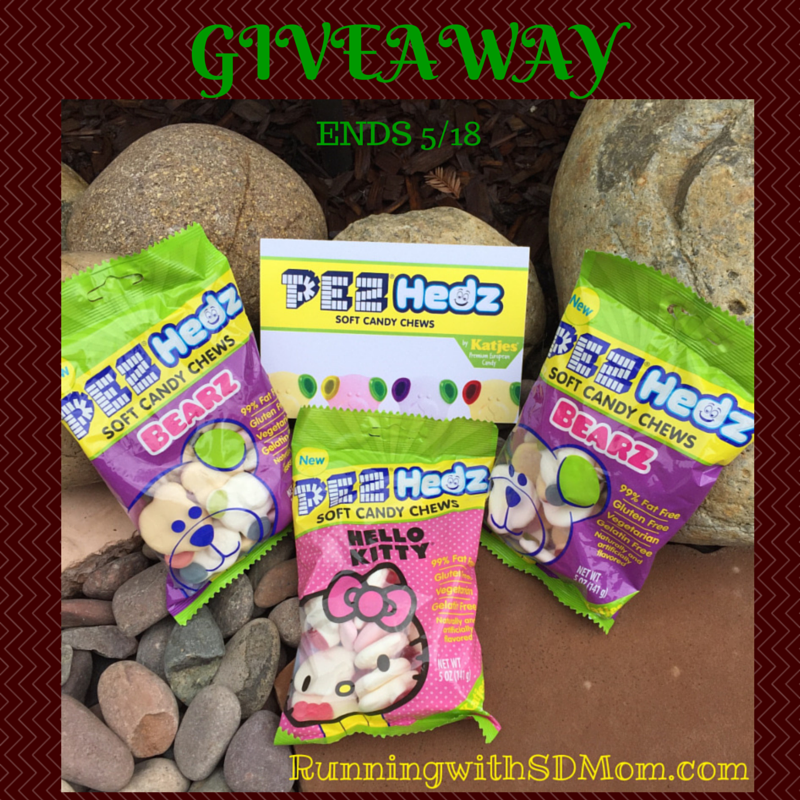 PEZ Hedz are premium soft candy chews made in delicious flavors and fun designs, like those you would see on top of a PEZ dispenser. But what makes them different from every other candy out there? PEZ Hedz are vegetarian, gelatin free, 99% fat free, and gluten free. Best of all, no artificial colors! I haven't talked about it too much but we are experimenting with giving the kids less food coloring to see what impact it has on S' epilepsy! PEZ Hedz can be purchased online at pez.com or at these local retailers: Cost Plus World Market, Rue 21 (Hello Kitty only), It's Sugar, Dylan's Candy (Hello Kitty only), and select Walgreens, Toys R Us (Hello Kitty only), and Dollar Tree (Bearz only) stores. You can find more info on PEZ on Facebook and Twitter. Lots of fun flavors! The Hello Kitty Hedz feature a strawberry flavor and a raspberry with blueberry flavor, and the Bear Hedz feature a cherry/blueberry/strawberry flavor, a grape/lemon/strawberry flavor and a peach/raspberry/strawberry flavor. S LOVES the Hello Kitty ones! You may notice that even though they say they are gluten free, the ingredient list contains wheat syrup. Well, here is what Pez has to say: "PEZ Hedz are gluten free. Although they contain wheat syrup, the gluten has been removed. PEZ Hedz are peanut and tree nut free. PEZ Hedz may contain traces of milk as they are produced in a factory that produces products that contain milk." They don't get stuck in your teeth at all. They kind of have the consistency of a soft not sticky taffy. Almost like if a marshmallow and gummy had a baby. Because these are delicious and because I will eat all the candy if they stay in my house, I am giving away 1 bag of the Bear and 1 bag of the Hello Kitty #PEZHedz for you to try! All winning entries will be verified. If a winning entry cannot be verified as completed, a new winner will be drawn. Winner will be provided the prize directly from PEZ. Substitutions unlikely but may apply. SD Mom not responsible for failure of PEZ to deliver product. So tell me. Did you have a PEZ collection when you were growing up? I loved my Tweety Bird PEZ dispenser! I did eat pez growing up and thought it was so cool. I had garfield dispenser that i loved. I had a star wars dispenser that I loved! I did eat them and love them ! yes I remember eating them. Those are so cute! I had a Pez dispenser when I was a kid but can't remember what kind it was. Whoa, that's a big Pez! LOL. I ate them all the time!! I had a dispenser, can't remember which one..lol I never used it much, I just ate them right out the package!! It was hard to load that thing I used to think when I was younger. I loved Pez as a Kid. I don't remember my favorite dispenser ? I remember eating Pez, but I don't remember the dispensers specifically. They were usually holiday themed, like a Vampire because we got them for Halloween, etc. I loved per as a kid, I remember when I was dating my husband going to the block in Orange, ca and there was a store that was all Pez everything. My favorite Pez dispenser was probably a cartoon on I can't remember right now. I loved PEZ & ate them as a kid. It seems like I had a bunny PEZ container that I loved. I always took my pez with me wherever I went when I was a kid. My pez dispenser was wonder woman and I found it in my mothers old things. I had PEZ as a kid! I think the hello kitty one is awesome.